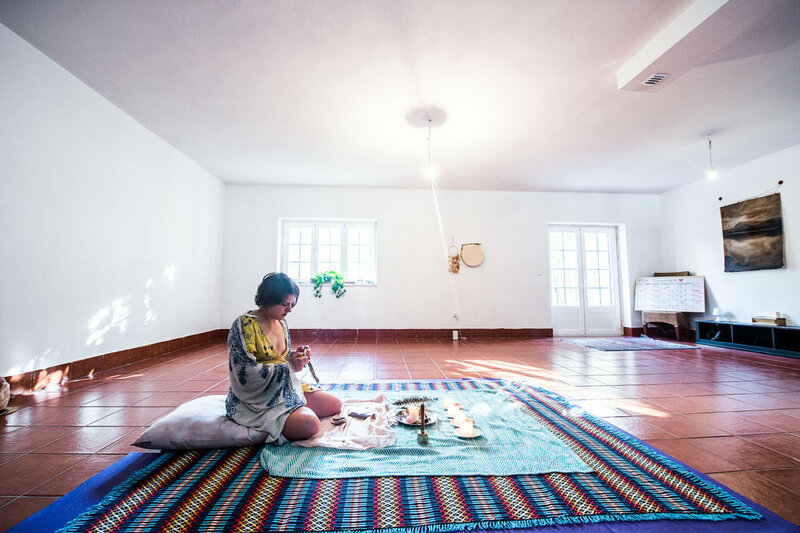 In a world where Eastern practices are ever popular for alternative healing at Amour Soul Space and through my practitioner work, we strive to offer sacred western ceremony and ritual as a form of modern medicine. Through my Soul Coaching® Services (rooted in native tradition and themes) and Medicine Ceremony offerings I hope to introduce more people to these ancient healing practices while honouring our ancestral lineages as healers. I work one on one with my clients to dive in and uncover their personal truths and HEAL. Together we use practical hands on techniques to clutter clear their emotional and physical worlds so they can truly live the life they desire. Coaching can be broad support or focused on illness recovery. Our 28 Day programs (practiced over an 8 week period) help people move past blocks, discover their purpose, connect with their spirits/bodies, and over all just feel a hell of a lot better about everything by the end of our work together! These sessions are offered both as a group and for individuals 1on1. Medicine Ceremonies are a wonderful way to let go of things you no longer need to carry, get clarity and support on tough situations, and celebrate life's milestones with my personalised guidance and energetic support. 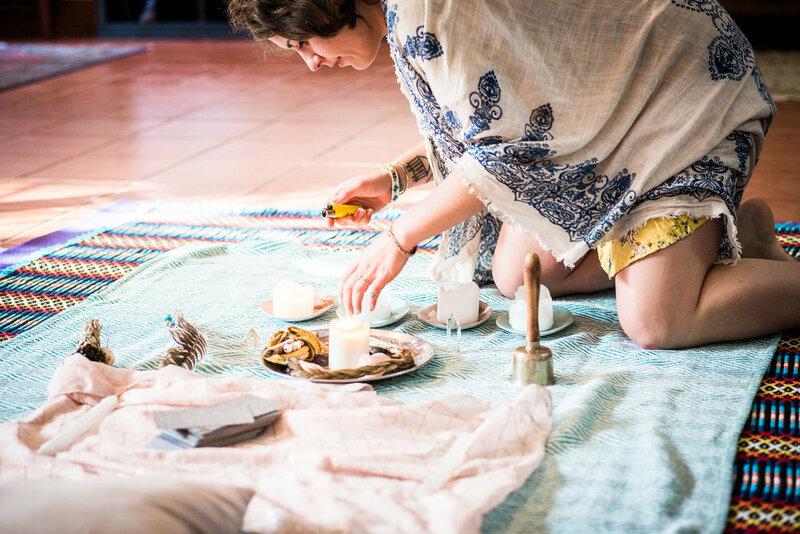 We used multiple tools during these sessions included guided meditation (Soul Journeys), Native American Ritual, and Tarot Card Readings to move through a sacred space to activate your healing. I hold various workshops for groups of people at festivals, events, work places, and parties. I do many different activities with groups including past life soul journey's and creative hands on fun such as making sacred items as a group. Contact me if you're interested in having me at your next event.